Beautiful Texas onesie embroidered in the calavera style of Mexico. 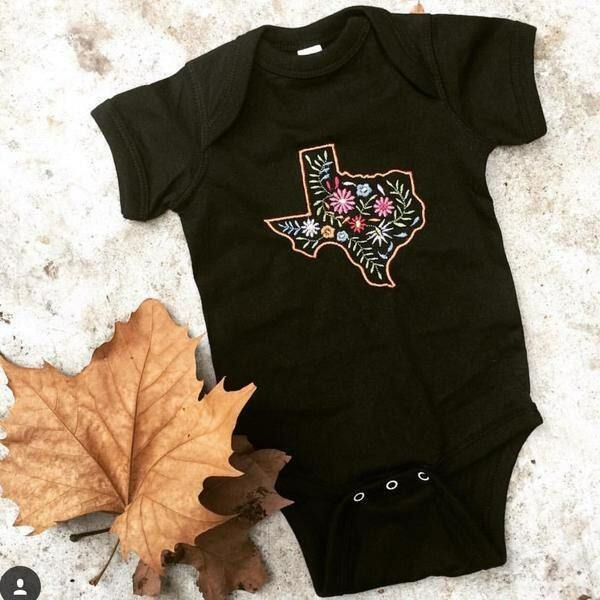 Your boho baby will look adorable wearing this soft, Texas bodysuit. Makes a great gift for a new mom, or for that special baby girl. Onesie is Rabbit Skins brand, black cotton material.